Return on Time Invested … A ROTI for your meetings ! 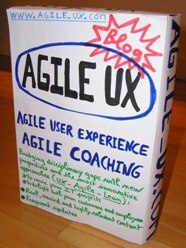 VALUE, FEEDBACK & ADAPTATION, COURAGE, TRANSPARENCY: this is the Lean and Agile mindset. More than ever focus on value and waste elimination are organizations’ high priorities : lean thinking must drive our projects. And it starts by your meetings ! 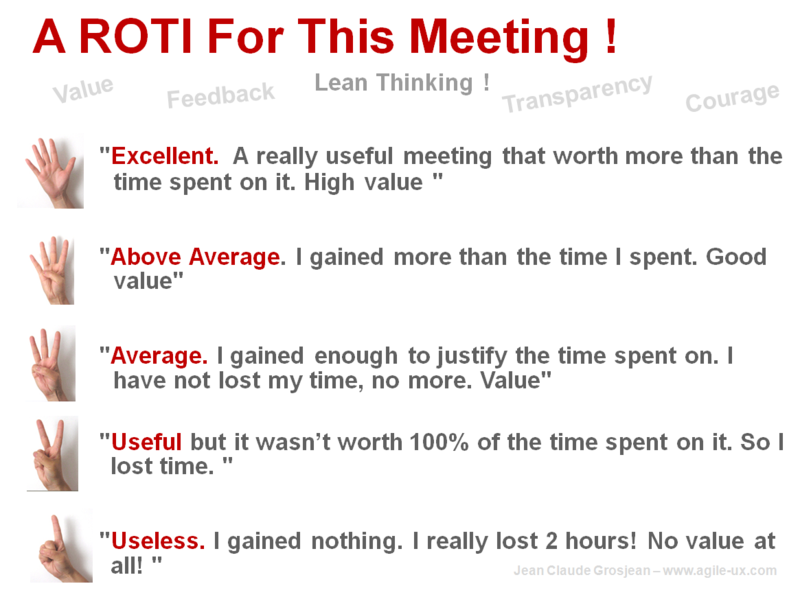 ROTI (Return on Time Investment) is a quick and easy method to gauge the time spent on meetings or workshops, and to improve their effectiveness. If you receive a majority of 1 or 2 fingers votes, you know there is a problem. Anyway, discuss with the participants who rated 1 or 2, discover why and react, plan to do something else, better, the next time. I use the Return On Time Invested technique intensively (meetings, workshops, conferences), and really appreciate it. It’s VISUAL and provides you with IMMEDIATE FEEDBACK (but are you ready to receive it ?). The focus on what is really valuable but also commitment, empowerment, transparency, continuous Improvement are the key benefits I notice. ROTI is quick, easy, sometimes funny, and works very well, even with top management.